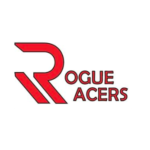 For the 2018 fall marathon season the Rogue Racers team was split among several marathon, including Columbus Marathon and Indianapolis Monumental Marathon. Despite the split group we still had an amazing marathon season. Below is some insight into how their respective races went. How many Cbus Marathons/Indy Marathons have you run? Paul Stoodley (PS): I’ve run Columbus 4 times. Lauren Holtvoigt (LH): I’ve run Columbus twice. Jennifer Gorham (JG): This was my 1st Indy marathon. Ryan Arens (RA): I’ve run 2 Indianapolis marathons. This is my second year in a row doing the full marathon. Bryan Stansberry (BS): This was my 2nd year running Indy. Brian Kasten (BK): This was my second time running Indianapolis Monumental Marathon. What did you like most about the Cbus Marathon/Indy Marathon? PS: Running with friends and crowd support. Also, I can never get enough of Thunderstruck and the firework start. LH: The amount of Rogue support, seeing friendly faces along the whole route, the start. JG: I enjoyed the entire experience. It had the big marathon feel without the big marathon headaches. The city was easy to navigate and the course just seemed to flow. RA: I like that it is a very flat course which makes it a fast course. BK: The flat & fast nature of the course and the fast field all help create a great chance for a PR. PS: I do like running through the corn field at Columbus but they didn’t have corn this year. LH: I really like when the half marathoners split off because there is so much crowd support. It’s always my fastest mile of the whole race. JG: The finish line. Ha! RA: I like the last mile and the finish area. BS: The finishing two miles through downtown, big crowds! BK: Mile 19 to 20 coming from 38th St to N. White River Parkway. Its downhill and fast, feel like it gives you a nice boost for the last 6 miles right as you are hitting the wall. Do you have a favorite memory of the race? PS: I love high five-ing the Nationwide Children’s Hospital Patient Champions, it always makes Columbus rewarding, regardless of the finish time! LH: Struggling up the Lane Ave hill with the wind in my face, and seeing the loudest, most enthusiastic group of Rogues cheering me on. It was such a boost! JG: It seems as though every race has a visual finishing point. For this race, it was turning on to Meridian Street and seeing the Monument and knowing that I just had to stay strong just a little big longer. RA: Running with Rogue Racers Bryan and Joel. It was great running the first half with them. BS: Running with my fellow Rogues! BK: Seeing the Rogue support crews out on the course especially Melissa and Wendy screaming like crazy as I was approaching the finish line. Seeing familiar faces always provides a boost of positive energy. Did anything fun or funny happen you would like to share? PS: Squirting myself in my face with my homemade chia seed goo, horribly sticky, then I tried to wash it off with gatorade thinking I had water. RA: I dropped a gel around mile 16 and had to run back to get it. I was starting to lose the goal pace at this point so I found it funny and symbolic of how the day went. BK: I thought I packed a pair of arm sleeves but I forgot 1 so I ran the first half with only 1 arm sleeve. Around the halfway point I ditched the 1 arm sleeve and took off my gloves for a minute. When I went to put them back on I dropped one and had to run the second half with only 1 glove. So I was only wearing 1 arm sleeve or 1 glove the whole race. Would you recommend the Cbus Marathon/Indy Marathon to friends? Why? PS: Absolutely, fun race, great start, good support. LH: YES! It’s flat, fast, and the weather was perfect. The race is so well organized and professional. Tons of crowd support and spectator friendly. I really think is a hidden jewel of marathons. JG: Definitely. It was fast, flat, spectator friendly and the weather was as perfect as it could possibly be. And when you run the tangents well, it is a 26.2 mile run. I’m definitely planning on a return visit. BS: Yes! Flat fast course, good weather, very well organized race. BK: I would recommend it for anyone going for a PR. Its a flat course, has a fast field and the weather is always perfect! It is also always very well organized. Plus its a Saturday race, you can go out at night after to celebrate and have Sunday to recover before going back to work. Were you able to execute your initial race plan? What did you learn? LH: Yes and no. My plan was to go out conservative and maintain a steady effort and pace. I did really well in keeping it controlled, but in mile 8 my glute started bothering me. I kept it together until mile 11, but up the hill to downtown felt REALLY hard. I knew I just needed to get to 14 to meet Brian K. After that the miles ticked by. The Lane Ave hill broke my spirit a little bit and stole almost all of the extra seconds I had banked. I picked up the pace in miles 20-24, gained it all back, then struggled up the last hill on Buttles, and lost most of the gains I made in the final miles. I learned I was a little hesitant to work HARD after mile 18, as I wasn’t sure what I had left so I went a bit too conservative on effort, especially on the small hills. As a result, I was just over my goal time (by 27 seconds! ), and sadly, I finished with gas in the tank. For the next race, I am going to focus on being uncomfortable the last few miles and being willing to work a little earlier in the race, while being confident that I can. Every race is an education! JG: I didn’t really have a race plan until about mile two. Having been injured for the entire training season, I really only started training four weeks out from the event. I wasn’t sure what to expect. At the start line I was going to maintain a 3:15-3:20 goal. At mile two, after two conservative miles, I decided I needed to go as fast as I could for as long as I could because eventually my foot was going to start screaming at me. Thankfully I made it mile 22/23 before the early miles caught up to me. Not an ideal way to run a marathon, but I got it done. RA: I was not able to hit my goal pace but I knew it was gonna be tough. I learned that I need to modify some things with my training next time in order to run a sub 2:45. BS: I came within 3 mins of my PR, and maintained goal pace through 22. However, the fact that I missed my goal was due to extenuating circumstances, not the course or race itself. Overall I was very happy with my results. BK: My initial plan was to run a 1:25 first half and 1:24 second half to get me into the sub 2:50 range. When I hit the halfway point I knew I did not have a 1:24 second half in my legs and decided to try to hold my current pace as long as I could. I slowed more than I had expected and ran a 1:27 second half. But I still got a 22 second PR! What was your reward meal or treat after the marathon? LH: A big breakfast with family, a nap, then beers with Brian K and hamburgers with Ken V. Then we went for a jaunt around town on the electric scooters which was so fun! It was nearly the perfect day! JG: A Tito’s lemon drop shot, french fries and a big bag of Gardetto’s snack mix. I spent the entire ride home with a killer stomach ache after. RA: Flyers Pizza along with Stone IPA and Shipyard Pumpkin Beer. BS: Pizza and a good beer! JG: This was my first big race as a Rogue Racer and everything from the training to the day of the race was incredible. Having the support of the team, words of encouragement and members who drove up that morning to watch, definitely got me in the mind set of “I can do this”. RA: I think that it is fun to have aggressive goals and try to reach them. Last year I was successful in doing so in the marathon and this year I was able to learn that I need to modify some things with my training to reach my ultimate goals. BK: I think I am beginning to learn that I have a lot more potential as a runner. I was coming off my first (and only) 100 miler late in the summer and really only had a 3-4 weeks of quality training. I only did speed work a couple times and rushed a bunch of 20 milers in the last few weeks before the race. Three weeks out from the race a had a really good speed session and 20 miler to give me the confidence to go for it at Indy despite my lack of quality training.